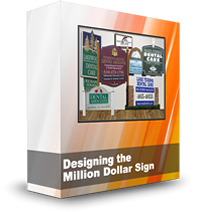 We have been helping doctors design and position their dental practice signs for over fifteen years. The issues are much more complex than just what to say on your dental office sign. You have to take into consideration the position of the signs relative to the building and the flow of traffic. And, of course, observe the all-important signage zoning codes. The economics of good dental signage are too important to just wing it. A well-deigned set of signs can easily put $1,000,000 extra into your pension fund for retirement.